Trips in 2017, 2018 & 2019 sold out months in advance. Register now to guarantee your seat and to take advantage of the 2019 prices. Join me on a wondrous adventure of a lifetime! “I’ve always believed that the universe has a way of putting us in just the right place, at just the right time, to access what we need on our life’s path. So I believe it was no accident that the family members that cared for my brother and me when my father left us in the 1960s were passionate students of ancient history. In the basement of their midwestern home, they had rows and rows of floor-to-ceiling bookshelves, filled with alphabetically-sorted books describing ancient and “lost” civilizations of the past. I was fascinated by the accounts of explorers such as Heinrich Schliemann’s discovery of the fabled City of Troy… One of accounts that was especially luring to me at the time was the story of Hiram Bingham’s expeditions into the high Andes of Peru and his 1911 discovery of the legendary city of Machu Picchu. I spent my days after school and summer vacations pouring through as many books as I could digest. I knew that I would explore each of them at some point in my life, I just didn’t know when. Twenty-three years later I took the vacation time that I had earned from my corporate job and made my first pilgrimage to the Andes Mountains of Southern Peru. The year was 1989 and the Peru of that time was very different from the Peru of today. 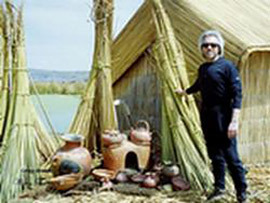 While the indigenous people of the Andes today struggle to maintain their traditions in the presence of a modern world, there was less of a need to do so in 1989. The tourism and pressures of commercialization was still relatively new. It was during this time that I had my first opportunity to experience one of the indigenous populations that has influenced my thinking and teachings today—the Quechua of the high Andes and Lake Titicaca region. Quechua is both a language, and the name given to the indigenous people that speak the language in countries that include Peru, Ecuador, Bolivia, and to a lesser degree in Brazil, Chile and Argentina. It was the language of the Ancient Incans, and the indigenous Quechuans of Peru today still live the traditional lifestyle of their ancestors. They still cook the traditional foods of fresh guinea pig, over 55 varieties of indigenous corn, over 4,000 varieties of indigenous potatoes and high-altitude quinoa that have sustained them through the invasions from foreign armies, and the draught and cold brought by the climate change of the past. They still heal their bodies using indigenous plants and herbs and following precise formulas that have been preserved in their families for centuries. May of 2018 year marked my 29th year of leading groups into this ancient and mysterious land, and my 2018 group was the 31st group that I’ve been privileged to lead into the beauty of the Peruvian Andes. Finding ourselves in the towns, villages and islands, and with the people that have preserved these timeless traditions, is a life-changing experience that defies the summary of a brief newsletter. In the following paragraphs I’ll do my best to share a few of the highlights that offer new and empowering ways to think of ourselves and our relationship to the world around us. TRADITIONAL HEALING — One of the most anticipated experiences for our group was the opportunity to learn about Andean healing from an indigenous herbalist. On a sunny Andean morning, Juan (not his real name to protect his privacy) arrived at the renovated monastery where we were acclimating to the high-altitude environment. Along with his wife and two children, he set up an extensive display of living plants, herbs, vines, flowers and native grasses, as well as concentrated elixirs, soaps and salves made from extracts of the living pharmacy that was in front of us. After a 30-minute presentation describing his family history and how the herbs are grown and prepared, the group was encouraged to sample lotions, taste the elixirs and ask questions regarding the traditional healing of everything from common colds, coughs, headaches and rashes to specific conditions that included diverticulitis, diabetes and even cancers. Not surprisingly, however, he also emphasized the role of personal responsibility when it comes to choices of diet and especially our “inner” pharmacy of thoughts and emotions. I think it’s fair to say that everyone who took the opportunity to immerse themselves in the experience came away with an even deeper respect for the indigenous wisdom that Juan shared with us that day. Chinchero — village of traditional ancient weaving: Following a late-afternoon drive over up the winding switchback road that leads to the Chinchero Valley, our group arrived at one of the most inspiring destinations of our entire journey—the high-altitude Quechuan women’s co-op in the town of Chinchero. As the sun set over the towering peaks that surround the valley, the temperatures quickly dropped and we welcomed the local tradition of hot coca-leaf tea that greeted us as we arrived at the communal compound that is home to the women’s co-op. In the rich light of the late-day sun, Quechuan elders, mothers and children—all women—greeted us warmly with a demonstration of how Andean wool begins with the shearing of local alpacas (no animals are harmed in the process) and is then cleaned, dyed using local insects, plants and minerals, and then spun into the yarn that is woven into intricate patterns of traditional Quechuan scarves, table runners, ponchos, gloves, warm head coverings and some of the finest textiles available in the world today. The co-op is a beautiful model of cooperation between men and women, as well as community members in a uniquely Andean way. In this particular co-op, the women run the details of the business and creating the products, while the men work for the women in a variety of ways to sustain the business. Lake Titicaca is one of the most mysterious lakes in the world. At 12,500 feet above sea level and covering over 3,200 square miles that overlap the border between Peru and Bolivia (the border runs through the middle of the lake) Lake Titicaca is the highest navigable lake in the world. Before his death in 1997, the explorer Jacques Cousteau, and the crew of the famous research vessel Calypso, explored the lake and documented life forms such as the giant toad, measuring approximately 24 inches in length, and mysterious archaeological sites under the water that had never been known in the past. From our hotel on the Peruvian side of the lake, the newish catamarans have cut the travel time from the shore to the ancient islands of the lake nearly in half from 3 hours to just over 90 minutes. Our destination on the most recent trip was the mysterious island of Taquile, and a visit with the families that have developed a way of life based upon a uniquely Peruvian code of living known in the Quechuan language as ama sua, ama llulla, ama qhilla, (“do not steal, do not lie, do not be lazy”). The island rises from the floor of the lake to 12,900 feet above sea level and covers an area measuring 3-miles long and 1-mile wide. There are about 2,000 people living in the community that is governed as 6-geographic sectors that determine everything from land ownership to crop rotation, and ultimately influence dating and marriage practices. The inhabitants lead meditative, yet productive lives based upon terraced farming and the weaving of unique textiles. Legend states that the inhabitants of this island maintain a close relationship to a greater family in the cosmos—one that continues to influence their traditions of longevity and healing. The Taquileans, as they are known, greeted us with a traditional meal that included high-altitude trout, egg omelets, white rice, quinoa soup that received universal rave reviews! potatoes, and oven-baked breads. Following our meal, we had the opportunity to hike through the terraces and rock paths to explore the traditional methods of sustainable farming that have given life to the people of this isolated community for over 1,000 years. As our group boarded the catamaran that would carry us back to the hotel for our last days in the country, we had the opportunity to reflect on the experience that we’d just shared. Taquile Island offered a glimpse of a way of life, a way of thinking, and sustainable principles of family and community, that we could apply to our families and communities that we would return to only hours later. As I looked over the faces of the people in my group, tired from a big day, yet fulfilled with the bonding experience of this ancient island, I couldn’t help but feel that we were among the blessed few that have witnessed this piece of history, and a part of the continuity that would carry pieces of our Peruvian experience into our modern lives, in the modern world. Today we find ourselves living in a world of extremes. And because the world is changing, it makes perfect sense that the way we live and the way we think must change as well. It makes perfect sense to live resiliently and adapt to the world that’s emerging rather than to impose the obsolete thinking and unsustainable solutions of the past onto the problems that we face. 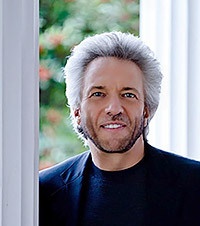 Gregg will be providing an in-depth seminar daily through this unique travel program both at the hotels and on-site. Gregg’s 2017, 2018, and 2019 trips sold out and this next journey is expected to fill quickly. Don’t miss this opportunity to share in this life-changing experience with Gregg! 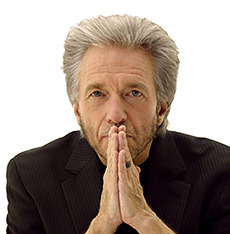 “Gregg Braden is a rare blend of scientist, visionary and scholar with the ability to speak to our minds, while touching the wisdom of our hearts.”– Deepak Chopra, M.D. 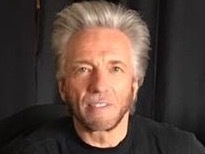 ©2018-Gregg Braden all rights reserved. Copyright © 2019 The Mystery and Meaning of Ancient Peru™. Proudly powered by WordPress	& The WP Theme by Ben Alvele, Alvele.com.